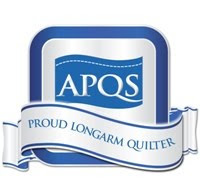 I have just done the last stitch on customer quilts before Christmas and want to take this opportunity to thank all my customers in 2016. 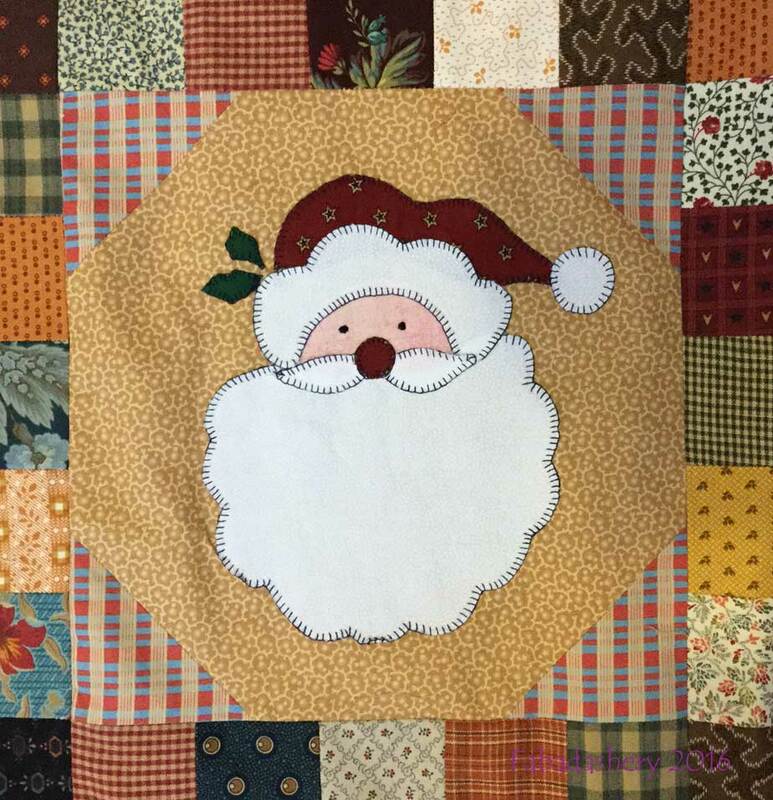 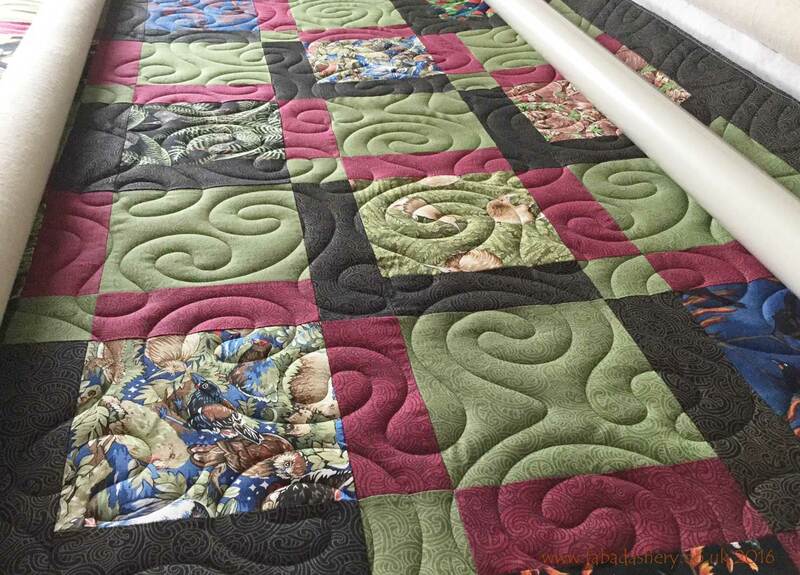 After Christmas I should have plenty to share, as the last few weeks has involved a lot of secret stitching of quilts which will be gifted in the next few days. 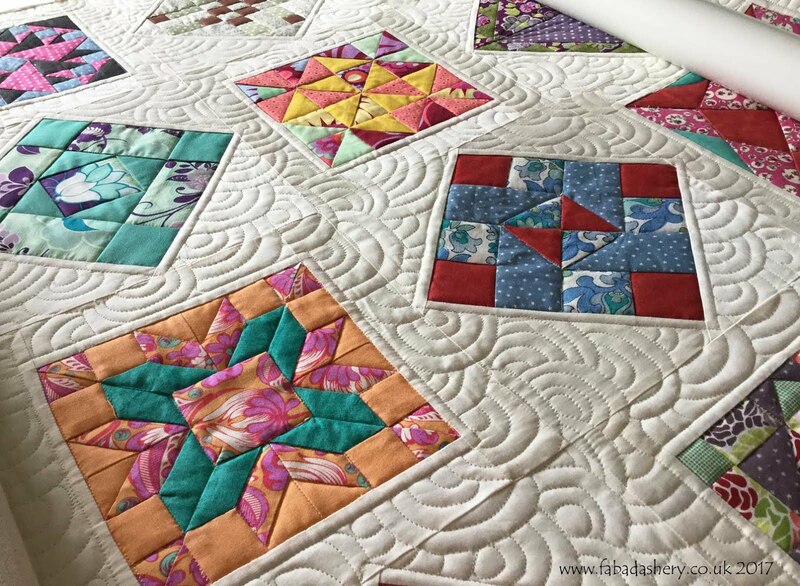 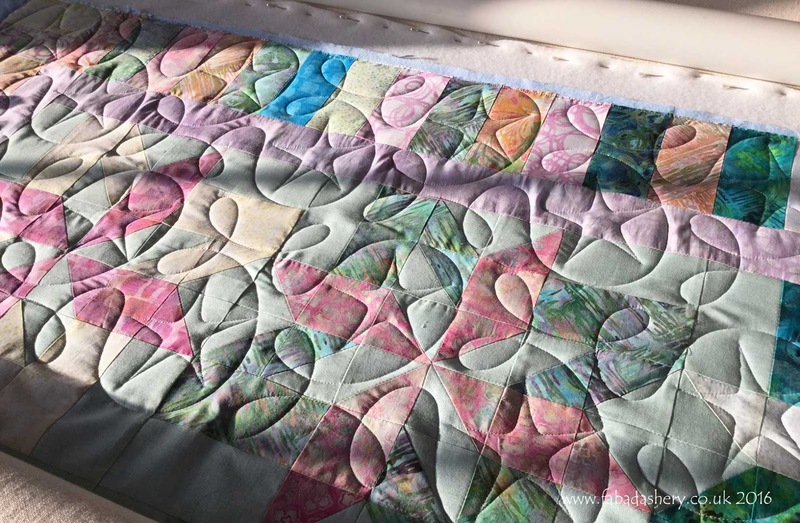 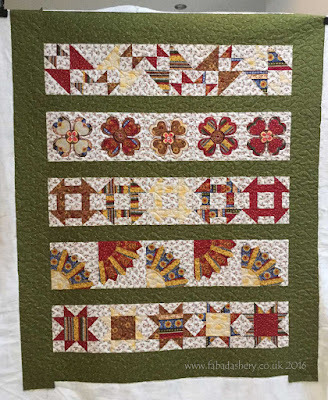 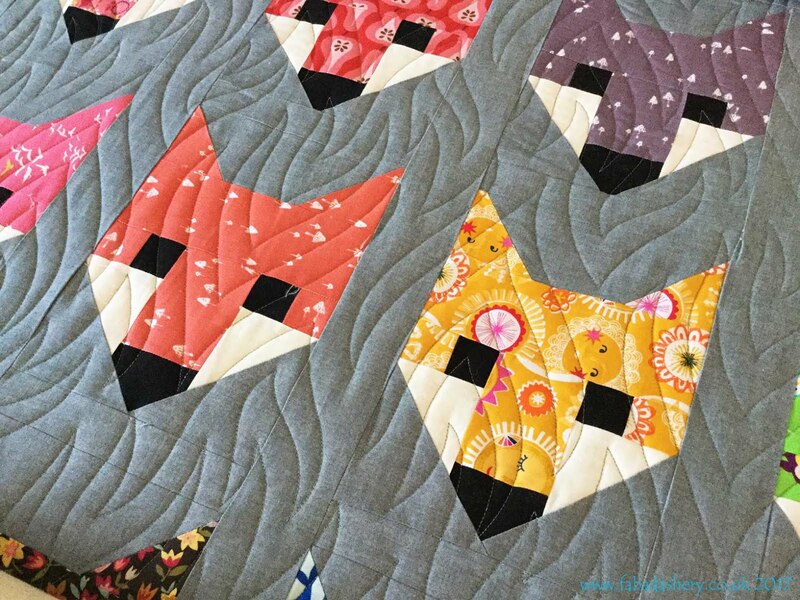 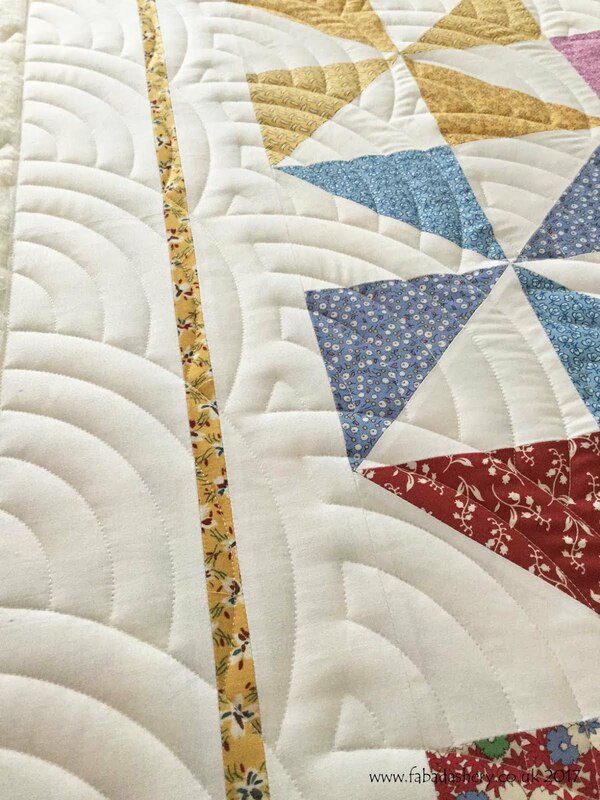 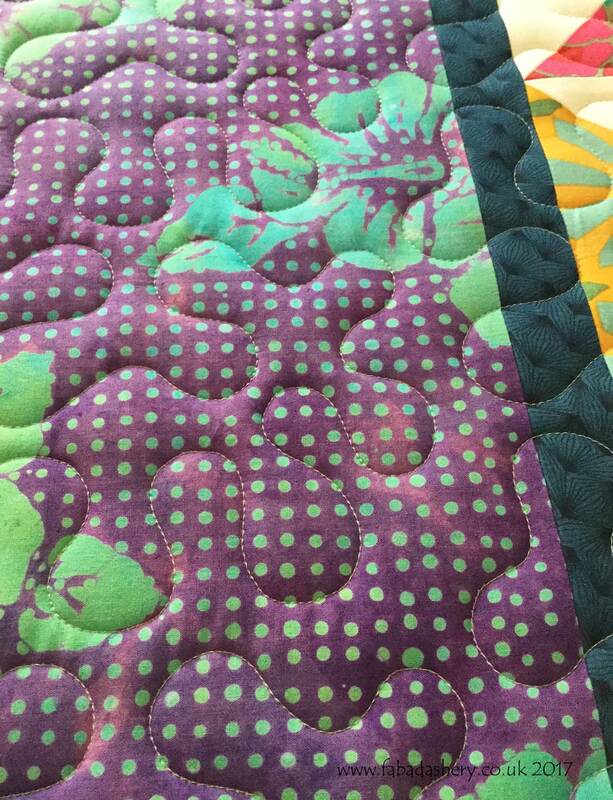 New babies tend to make their own deadlines and Catherine wasn't going to be caught out by an early arrival She went to work on stitching a batik Jelly Roll quilt pattern, which was finished off with a piano key border and then brought to me for long arm quilting. 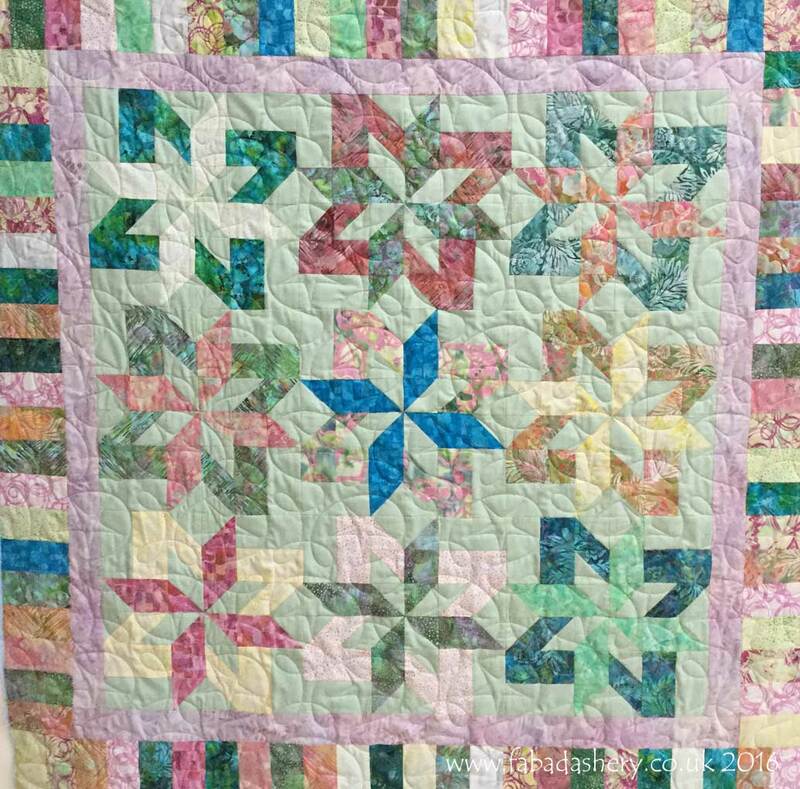 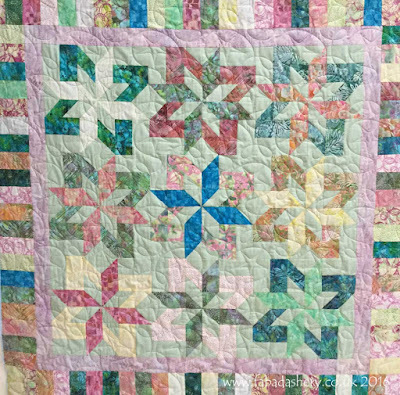 I managed a quick turnaround on this one and here is the finished quilt in lovely pastel colours. 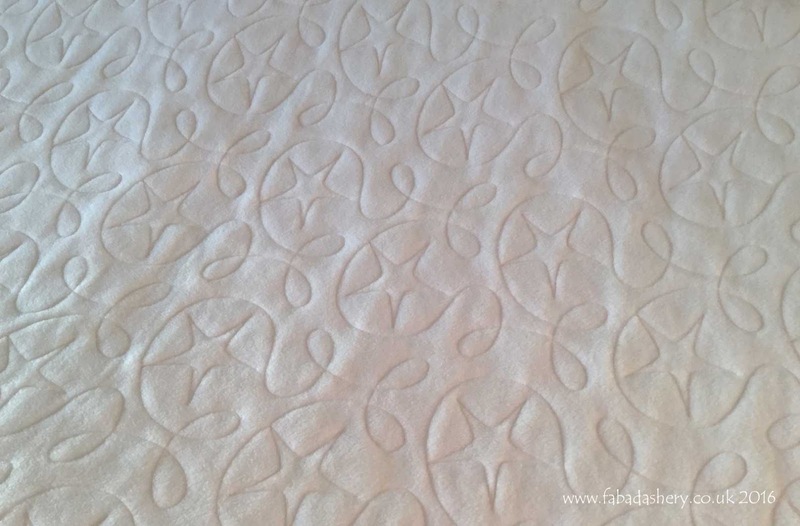 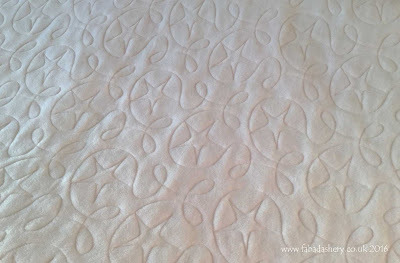 On the back of this quilt was a soft white fleece. 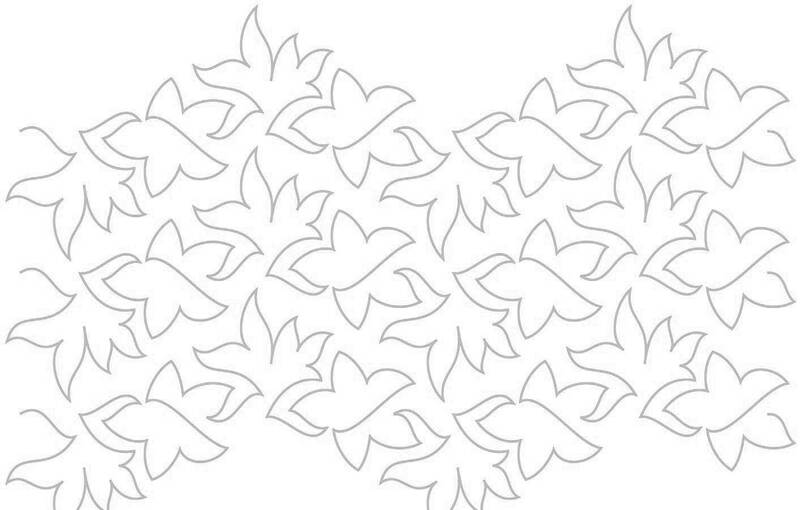 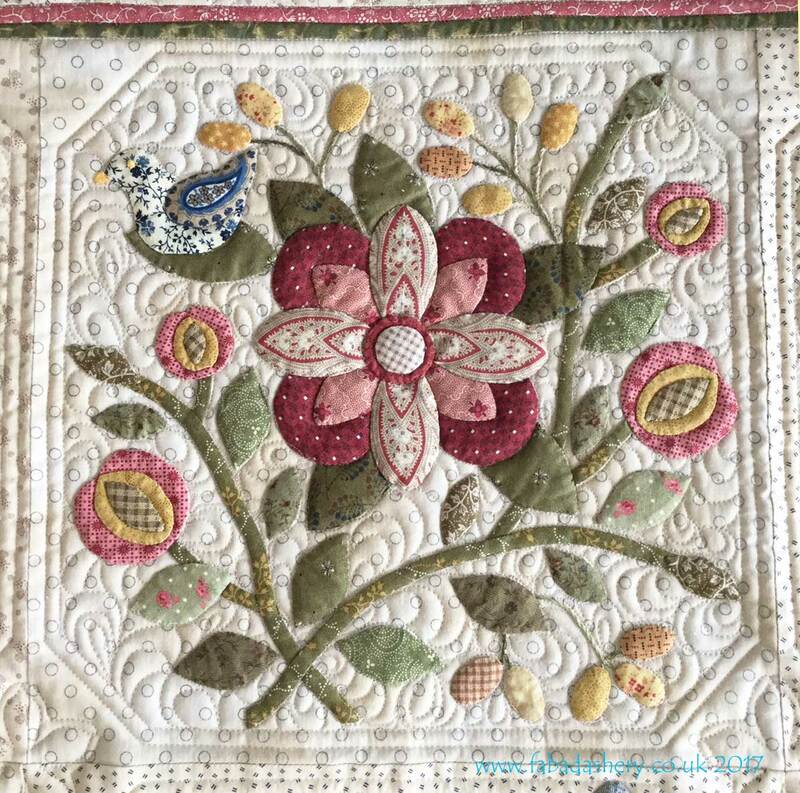 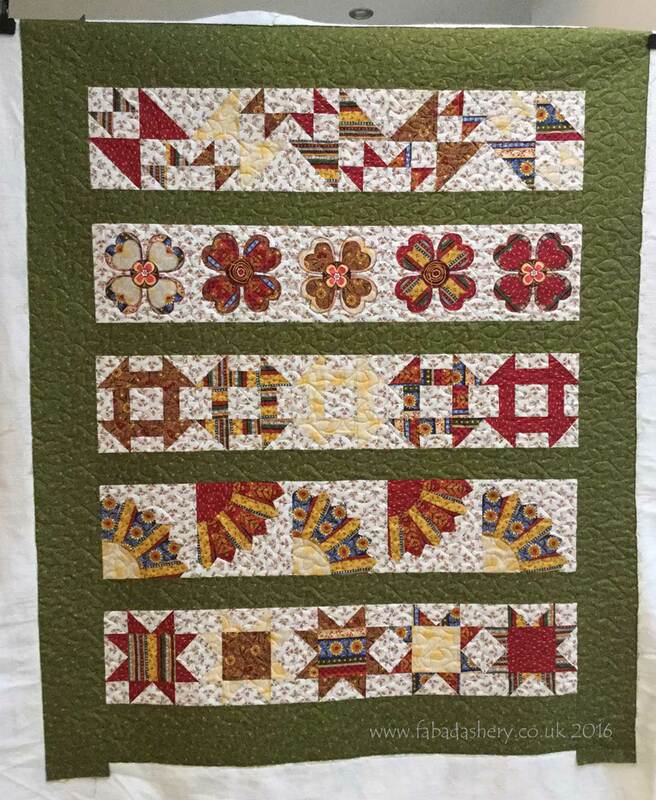 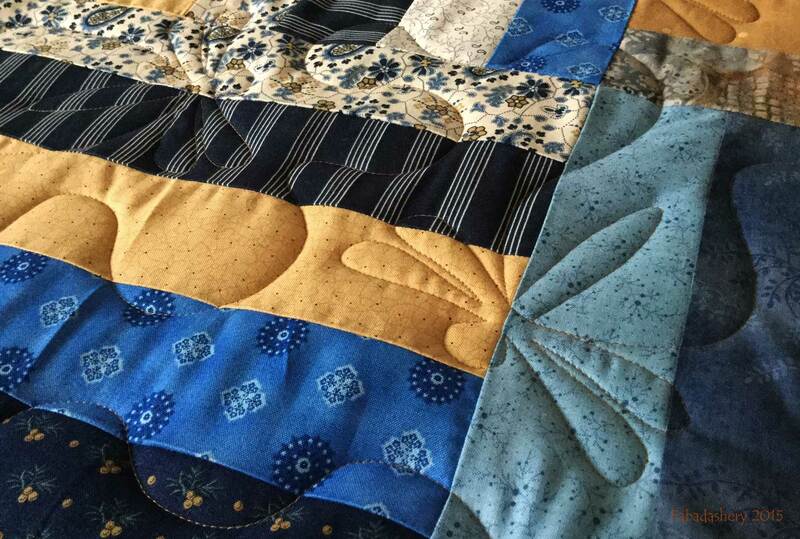 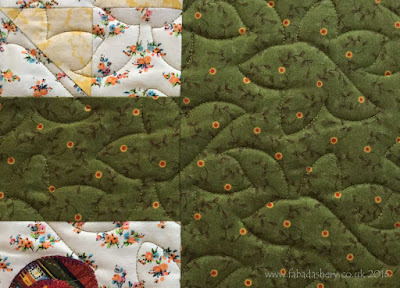 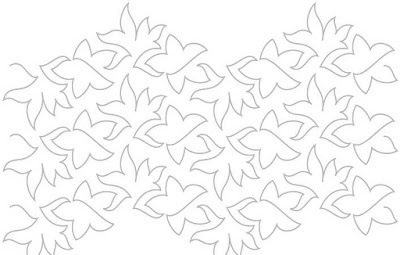 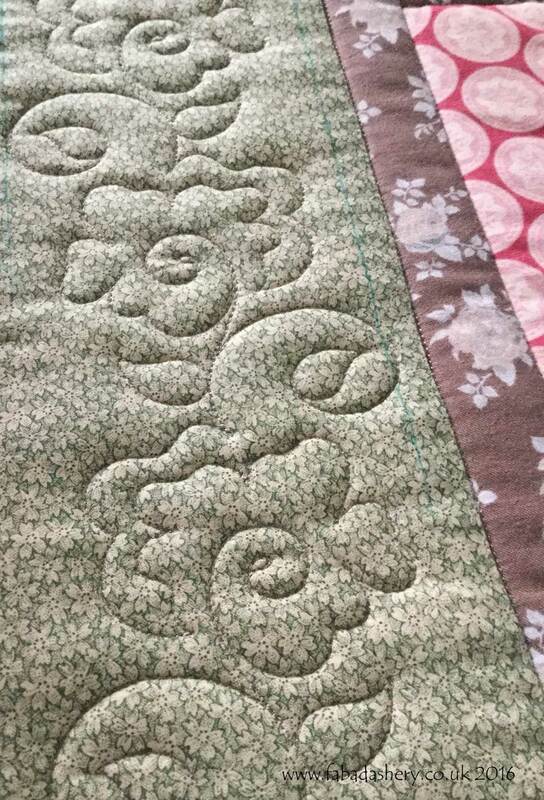 As I have said before, the evenness of the computer assisted system allows for a great result on the reverse of a quilt as much as the front. 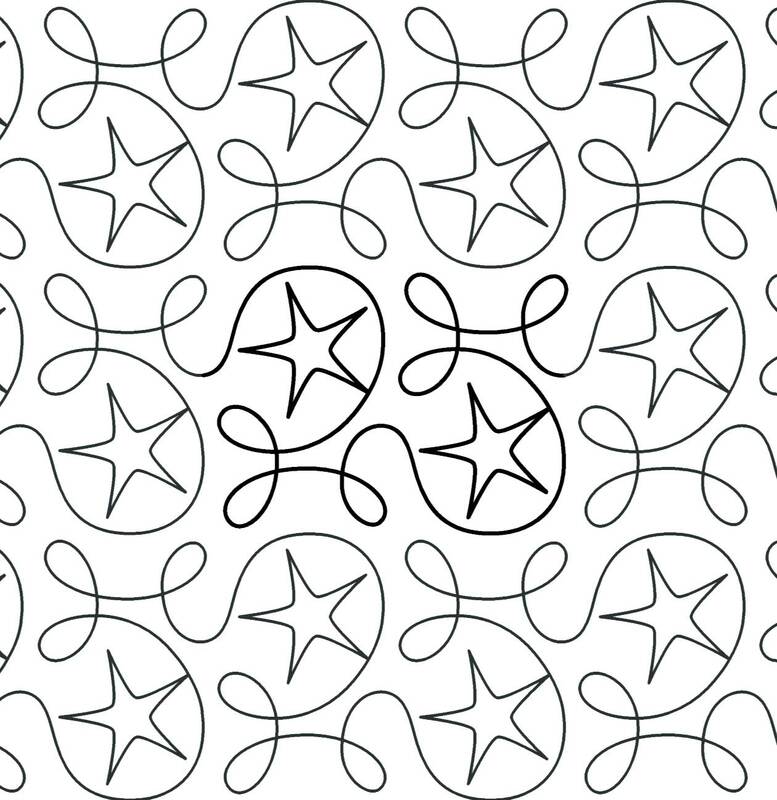 The digital pantograph she chose was a fun star pattern called 'Ginger Stars' by Hermione Agee, suitable for a girl or a boy.